AASA Past President Amy Sichel and AASA 2017-18 President Gail Pletnick. Traveling to Scotland has been eye opening. The scenery and castles are beautiful. Equally impressive is the thriving, government funded, education system where 95 percent of students attend public schools. The country claims to have achievement results that surpass Finland! In the Highland area, schools are small and offer pre-K to secondary, the equivalent of our high school. Countrywide, class size (student-teacher) ratios are about 15-to-1 in primary and drop to 12-to-1 at the secondary level, the equivalent of our high school. Scotland has a national system controlled by its Parliament and government oversight, much like we do with standards for the 21st century, with a focus on literacy, numeration, the arts and problem solving. There is a focus on leveling the playing field which the Scots call reducing the attainment gap, similar to our achievement gap. The sequence of education continues through ages 16 to 18, where the focus is on school to work, entitled a “pathway”. How similar is that to what many of us are working to accomplish in our high schools? They are focused on “meeting the needs of all learners” as we work to meet the needs of “each learner”. During what the Scots term the senior phase, they focus on service to others, and health and wellness, much like our profile of the graduate. This ensures addressing the knowledge, skills and dispositions that prepare students for the 21st century world of work and life. The Scots have an online tool which benchmarks the outcomes of the students called Benchmarking for Excellence. We look forward to our school visits in the days to come. Amy Sichel is the superintendent of the Abington School District in Abington, Pa. She also served as the 2013-14 president of AASA, The School Superintendents Association. 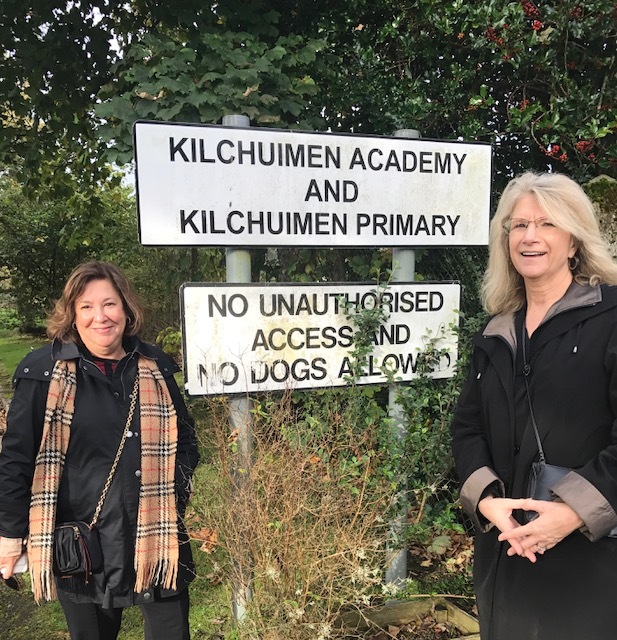 This entry was posted in Education and tagged AASA abroad, AASA in Scotland, AASA International Seminar in Scotland, Amy Sichel, Gail Pletnick, Scotland by Dan Domenech. Bookmark the permalink.